These occasional programs bring children and adults together for fun activities. Join Natasha Shannon, Lower School art teacher, and other CFS families for a Saturday afternoon of creativity and fun! 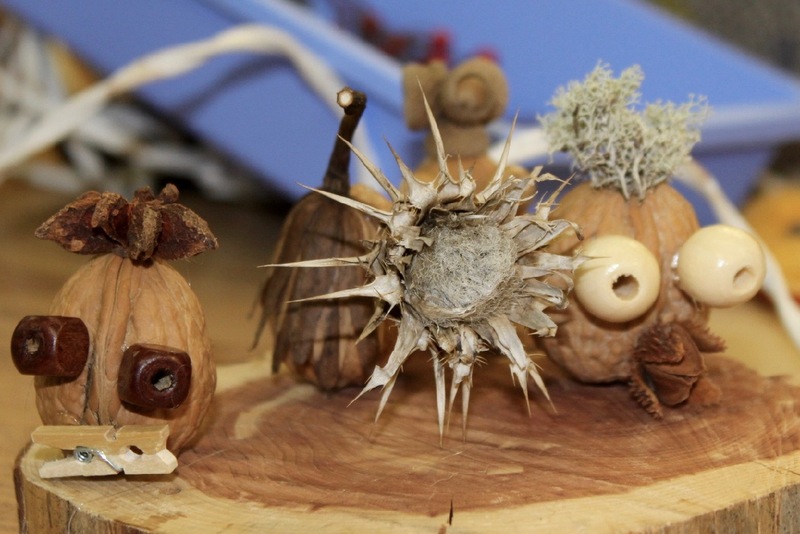 Using natural materials she'll have on hand for you —including pine cones, acorns, various seeds, and much more — create holiday decor (from a menorah to Christmas ornaments to whatever design you want to make) for your home or to give as gifts. Enjoy apple cider, hot chocolate, popcorn, cookies, and lots of camaraderie at this festive family event! For students ages 5 to 12 with accompanying adult(s) (we'll be using hot glue guns). Middle School students older than 12 and Upper Schoolers may participate without accompanying adult(s). Teacher Bio: Ever since she was a third grade student, Natasha Shannon knew that she wanted to be an art teacher. She has been teaching at CFS since the fall of 2003. Prior to her work here, she taught in the North Carolina and New Mexico public school systems and for two years at the Monteverde Friends School in Costa Rica. She graduated from The Evergreen State College in Olympia, Washington and later received her teaching certification from the University of New Mexico. She grew up in the mountains of North Carolina climbing trees, building forts in the woods, and picking blackberries to make blackberry pies. She still enjoys picking berries in the summer and making jam with her daughter who is a student in the Upper School. In the winter she and her family like to find the best sledding runs possible when the snow falls. Online enrollment for Family Enrichment courses can be completed with a free account at our CampInTouch site (which is also used for CFS Summer Programs registration). Even if during enrollment you learn the course is full, we hope you'll complete the process and go automatically onto the wait-list. A spot may open, demand may be sufficient for us to try to create an additional section, or at the very least we'll have more accurate information about demand that can help inform future programming. The Family Enrichment course, which includes refreshments and materials, is $15 per student. There is no fee for accompanying adult(s).